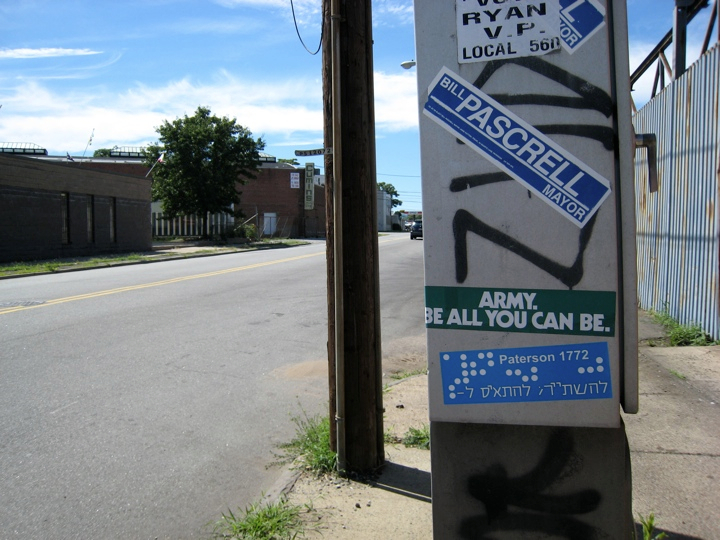 Belong Paterson was an urban intervention that was pasted throughout the city of Paterson, New Jersey, as well as exhibited in the Paterson Museum. The work was inspired by my present-day experience of Paterson as a city where everyone can belong, yet belonging to no one in particular, as well as by the fact that Paterson history, while largely unknown outside New Jersey, is seminal to numerous major events and developments in American history. 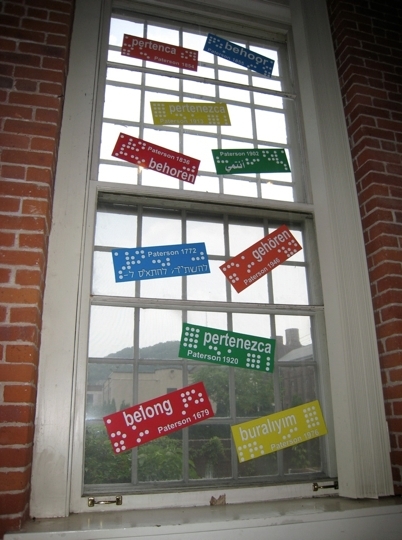 Belong Paterson consisted of large colorful stickers, patterned after loom cards, each of which had the word “belong” in one of ten languages along with the date of a significant Paterson historic event. The languages were those immigrant groups present in Paterson through time. The stickers were pasted in random locations all over the city, and visitors to the museum could view a key to the historic events alongside information on the developing monument proposal.